Want to see something completely unique and a little bit off-the-wall during your holiday in Spain? 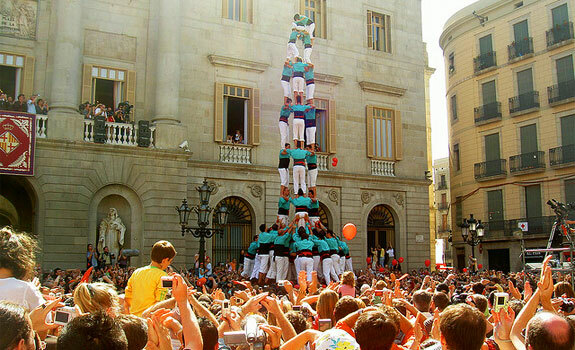 Make it a point to check out the famous Catalan Castells: the human towers that have become a true spectacle. Translating into ‘castle’ in English, which refers to the overall structure of the tower, the Castells are a common display at many festivals and at other major community events in Catalonia. Believed to have been a Catalan tradition since 1712, the Castells have become a big part of the local culture, and were even given UNESCO Masterpieces of the Oral and Intangible Heritage of Humanity status. If you were staying in a villa in Barcelona back in the 1980s, the type of Castells you will have witnessed would be totally different from the Castells you would see in the city today. Understood to have a religious meaning, this has become somewhat lost over the years. Today the displays are mostly for show, with towers getting taller and taller every year and including more and more acrobatics. 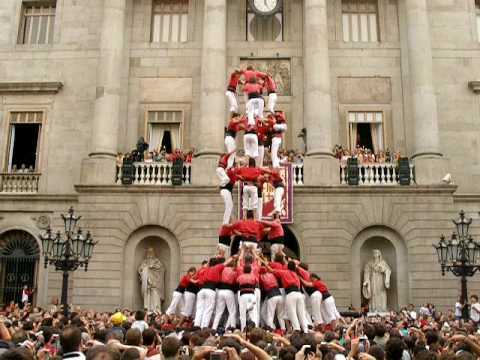 There is a bigger performance aspect to modern Castells, and some towers can even reach up to 10 levels! It is pretty easy to plan your vacation in Spain to coincide with the Casteller season as the season runs from February to November. The Castells regularly appear at festivals in the area, but perhaps the very best place to see them is in Valls, which is where they originated. Be sure to stop by the museum, Món Casteller: The Human Towers Experience, to learn more about this unusual Catalan sport. There’s more to Barcelona than Barcelona!